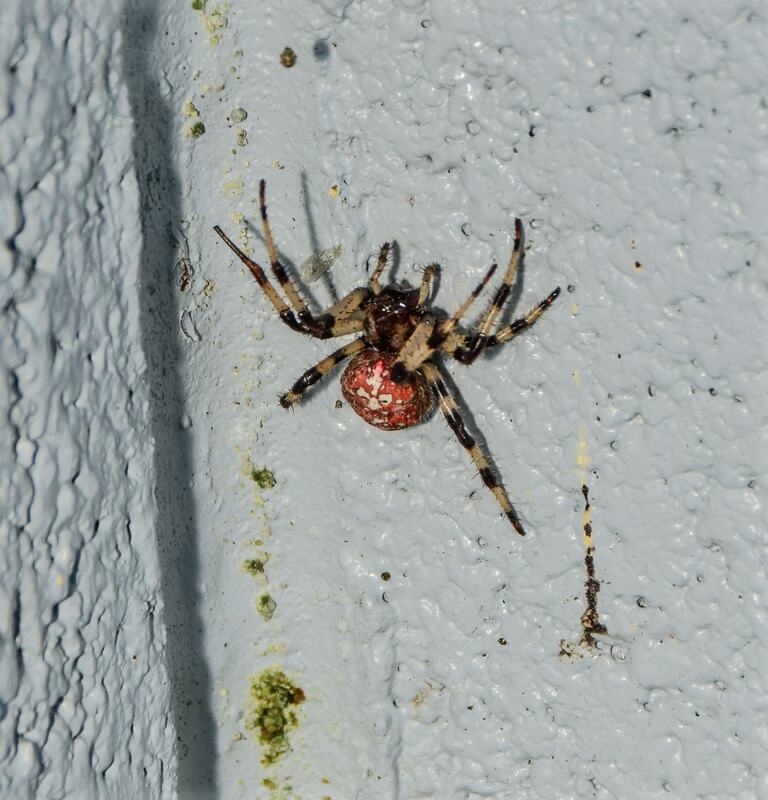 Could it be a particularly red-toned Araneus marmoreus, the marbled orbweaver? 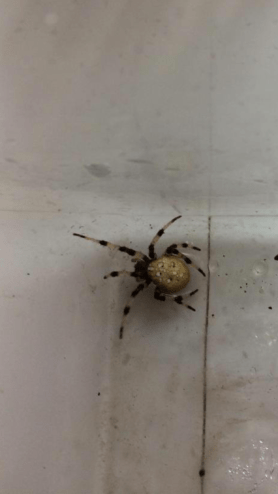 It’s definitely an orbweaver, though I don’t think Eriophora species are found as far north as Pennsylvania. 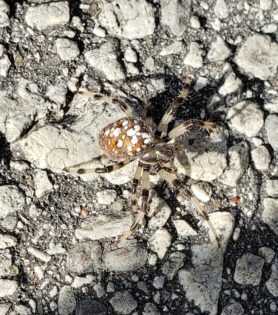 I agree orb weaver of some sort from the spots on back, but I have NEVER seen this spider around our area…. Looks like a marbled orb weaver to me. 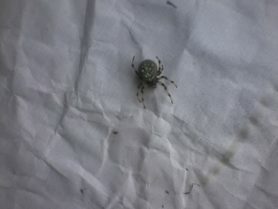 Hi, this is a Shamrock Orbweaver (Araneus trifolium). Looking a bit shriveled/dehydrated she has likely already laid her eggs.